This beverage is called sake in English, but in Japanese, sake (酒) or o-sake (お酒) refers to alcoholic drinks in general. The Japanese term for this specific beverage is Nihonshu (日本酒), meaning "Japanese sake". 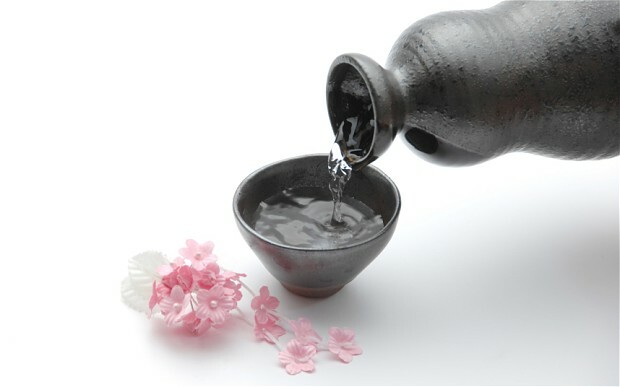 Sake is also referred to in English as a form of rice wine. However, unlike true wine, in which alcohol is produced by fermenting the sugar naturally present in fruit, sake is made through a brewing process more like that of beer. To make beer or sake, the sugar needed to produce alcohol must first be converted from starch. However, the brewing process for sake differs from beer brewing as well, notably in that for beer, the conversion of starch to sugar and sugar to alcohol occurs in two discrete steps, but with sake they occur simultaneously.